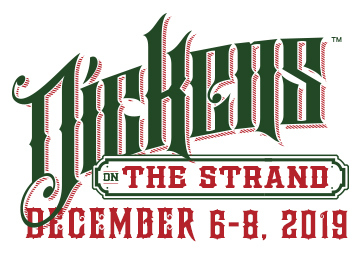 SAVE THE DATE NOW FOR DICKENS 2019 – DECEMBER 6-8! FFor 46 years, Galveston Historical Foundation’s Dickens on The Strand festival has highlighted downtown Galveston’s Victorian-era architecture while providing a one-of-a-kind holiday destination filled with the sights and sounds of Charles Dickens’ work. This year’s event continues that tradition with parades, non-stop entertainment on six stages, strolling carolers, roving musicians, bagpipers, jugglers and a host of other entertainers. Costumed vendors peddle their wares from street stalls and rolling carts laden with holiday food and drink, Victorian-inspired crafts, clothing, jewelry, holiday decorations and gift items.